At 65 pounds with a PennHip score of 95%, Oakley’s full health clearances on hips, elbows, heart, and eyes make her a solid addition to the Snitker Golden breeding program. Oakley is also ICT clear and prcd-PRA clear, PRA1 and PRA2 clear. Noted for her beautiful head structure, Oakley is a stunning female with a beautiful lush coat. 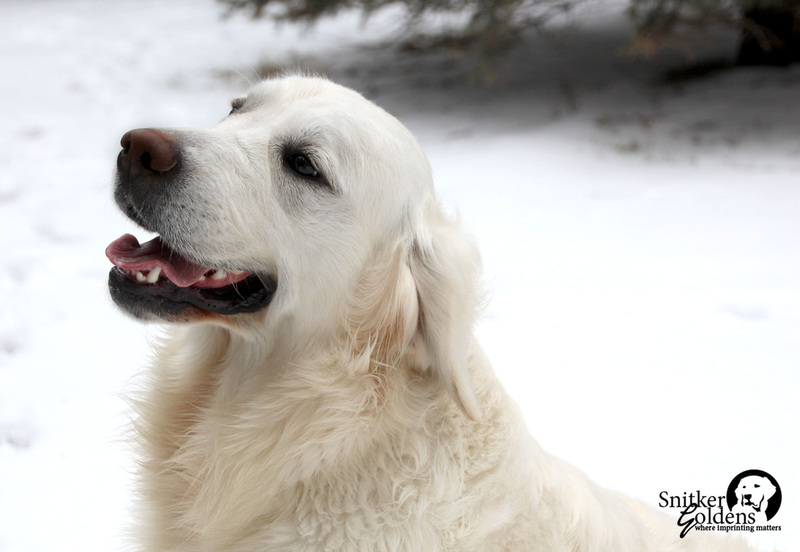 Her athletic build and wanting-to-please temperament create that desirable combination in the playful and active Golden. We've seen simply stunning puppies from Oakley, with larger-framed pups donning beautiful full and light-colored coats. Great temperaments on these lines and strong athletic builds. Oakley pups have been a step up in energy and are outgoing. We've already seen wonderful companion puppies from Oakley, and are looking for great service dog candidates from these lines starting in 2018. 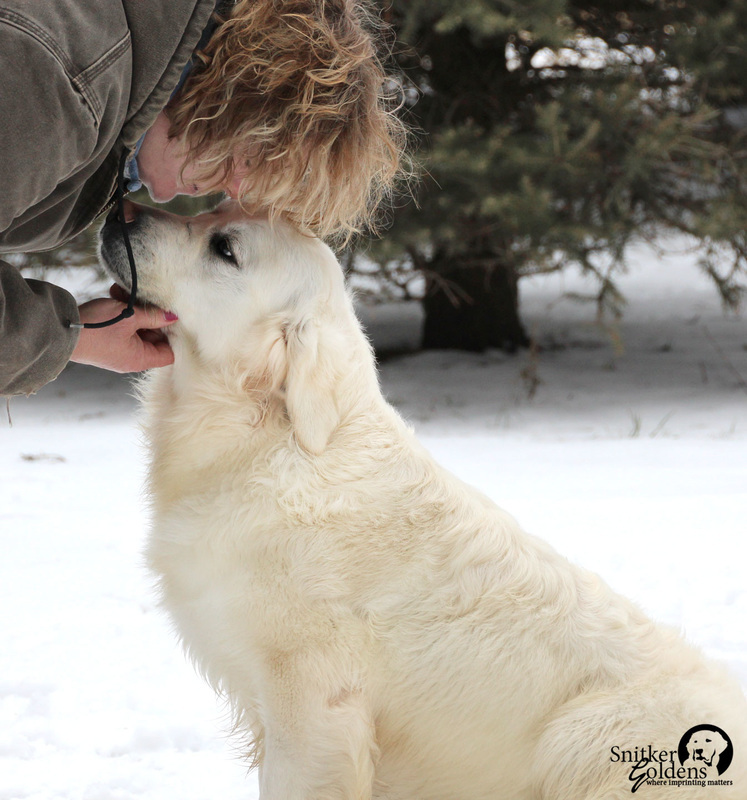 Thank you to Tom, from Lake Country Goldens, for the opportunity to raise this go-getter girl. We look forward to her bright future within our breeding program. 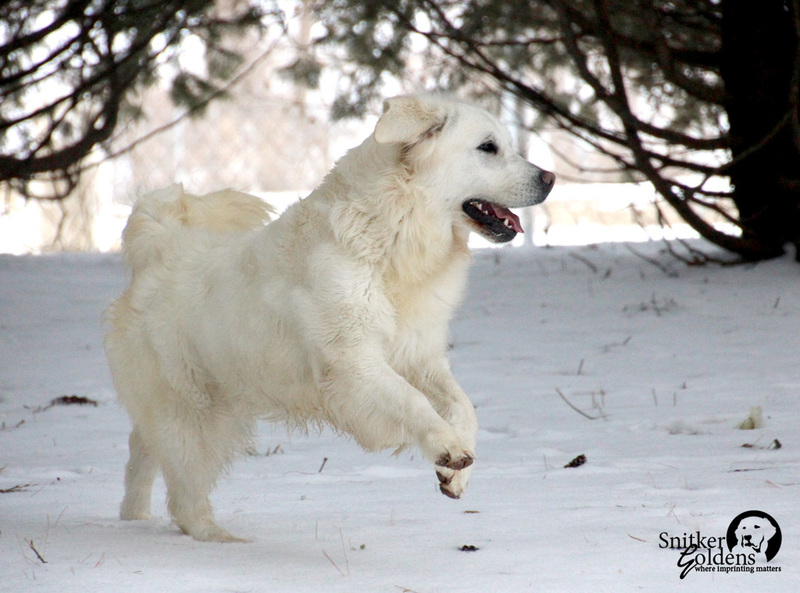 Click to view Oakley's Pedigree and Health Clearances.